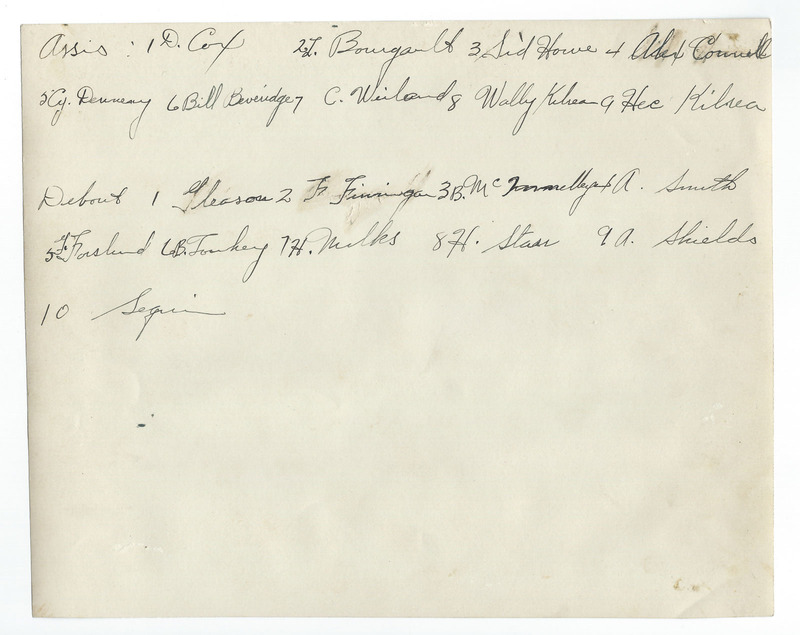 Gleason - Trainer, Frank Finnigan, Bert McInenly, Alex Smith, Gus Forslund, Bill Touhey, Hib Milks, Harold Starr, Alex Shields, Seguin - Trainer. Photo is in excellent condition with no tears. 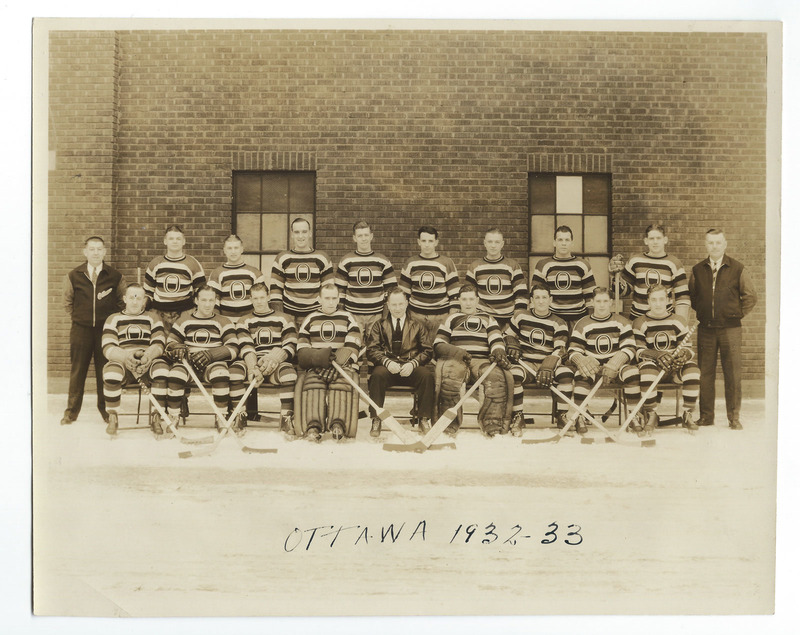 Players names written in fountain pen on back and "Ottawa 1932-33" in fountain pen on front.